Samsung’s ATIV branding might not yet be a household name, but that could very well change, as the company has just announced a new naming scheme that places all of its Windows PCs under the ATIV umbrella. 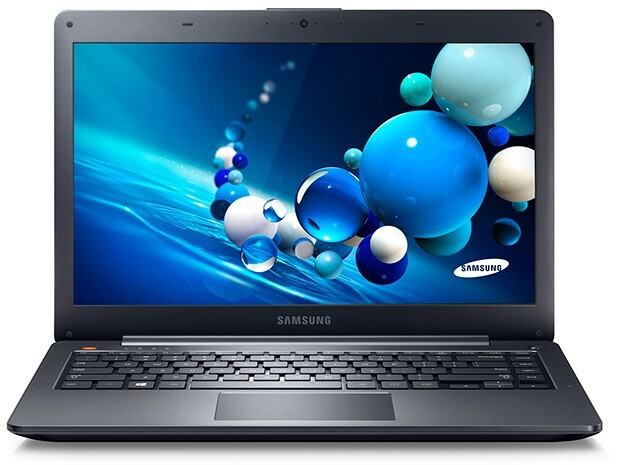 As you may recall, the ATIV scheme was previously reserved for convertibles, but under the new structure, even Samsung’s existing PC lineup — we’re looking at you, Series laptops — will retroactively take on the new scheme. The news doesn’t stop there, however, as Samsung has also announced two new ATIV Book models and a nifty bit of software known as SideSync to the mix. Read on for the details. The next big Twitter feature? Finding out what your neighbor’s talking about, 140 characters at a time, of course. According to All Things D, the service is working on exactly that, a location-based feature that was reportedly developed at a hack week held by the company earlier this month. Twitter, predictably, isn’t commenting on the reportedly upcoming feature, but D has says that this information is coming from “multiple sources.” No word on how close they all are to one another. The business of commerce is alive and well, and while there’s far too much noise for anyone to stand on the mobile side, Paytouch is hoping to add a new wrinkle on the conventional end. 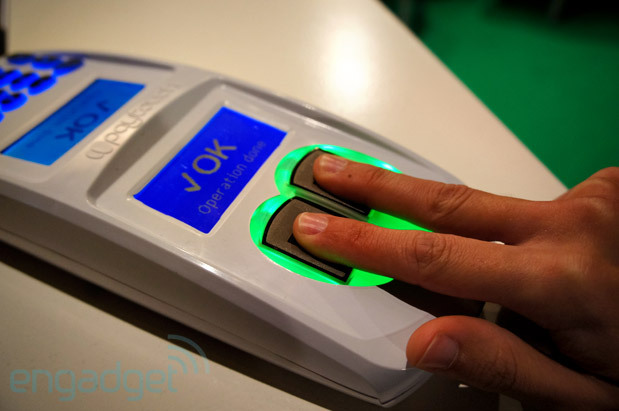 The Barcelona-based outfit was on hand here at The Next Web Conference, showcasing its biometric payment terminal and setting the stage for what’s to come. For those unfamiliar, the Paytouch terminal is currently being used at Ushuaïa Ibiza Beach Hotel — users with a Paytouch account simply link their credit card to their fingerprints, and a two-finger press is all it takes to order another glass of sangria. The benefits are fairly obvious for all parties involved. For the consumer, there’s no longer a need to carry a credit card that can be skimmed, lost or stolen; for the retailer, it’s able to encourage impulse buying in an entirely new way; for Paytouch, there’s a commission paid on each purchase. Governments are getting nosier than ever, at least if you ask Google. The search firm has already noticed rapidly mounting censorship in recent months, but its latest half-year Transparency Report has revealed a 26 percent surge in takedown requests toward the end of 2012 — at 2,285 total, more than twice as many as in 2009. Much of the jump can be attributed to Brazil, whose municipal election triggered a rush of anti-defamation requests from candidates, as well as a Russian blacklisting law that allows for trial-free website takedowns. Whether or not the heat dies down in 2013, we’ll have a better sense of just what happens when a YouTube request comes down the pipe. From now on, Google will say whether government-based demands to remove videos were based on YouTube’s Community Guidelines or were directly linked to regional laws. Google isn’t any more inclined to comply with such requests — it argues those Brazilian clips are free speech, for example — but we’ll have a better sense of just how easy it is for the company to say no. This entry was posted on April 25, 2013, 5:30 pm and is filed under Mobility. You can follow any responses to this entry through RSS 2.0. Both comments and pings are currently closed.